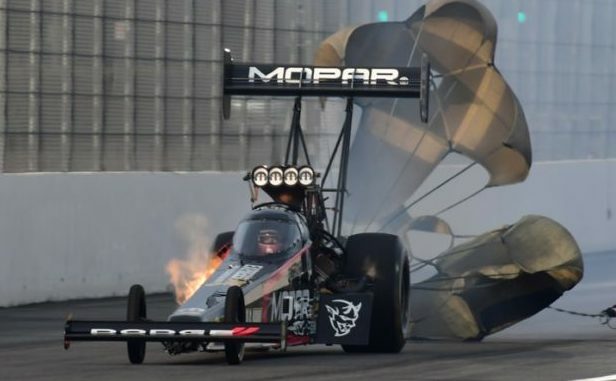 FiatChrysler’s involvement in NHRA drag racing exists at both the professional and amateur levels. 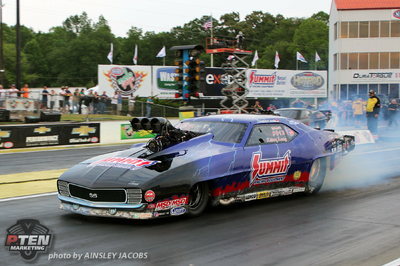 Although it no longer supports the factory hot rod Pro Stock class, Dodge and its Mopar performance brand are exceptionally active in Funny Car, with prominent Dodge Charger R/T entries from the four-car Don Schumacher Racing (DSR) team and primary sponsorship of two-time champion Matt Hagan. 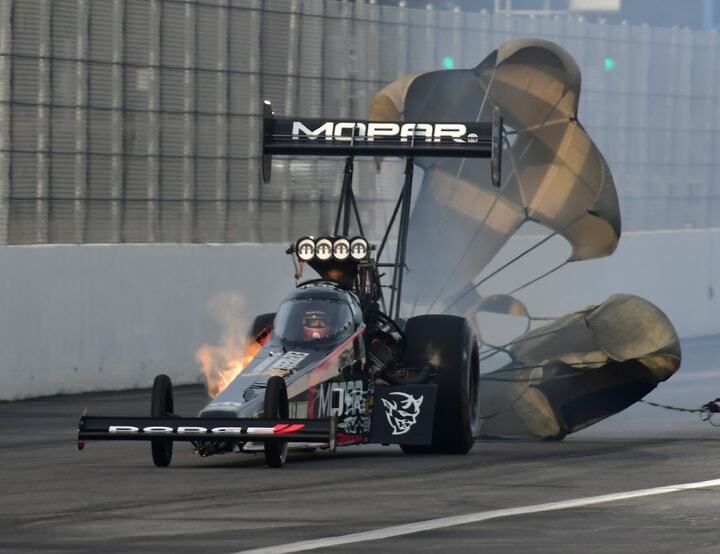 FCA is also active in Top Fuel, where Mopar sponsors DSR’s Leah Pritchett, now embarking on her second full year of competition with the team. Pritchett secured four Wally trophies with the team in 2017. Dodge and Mopar have also been active as race sponsors. 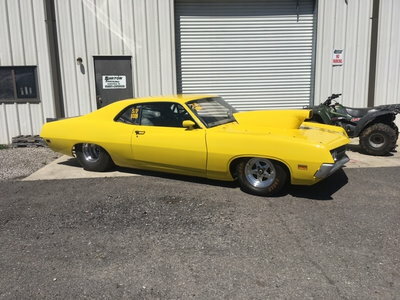 This year marks the 30th year that FCA (FiatChryslerAmerica) has sponsored drag racing at Denver-area’s Bandimere Speedway, just west of the Mile High City. 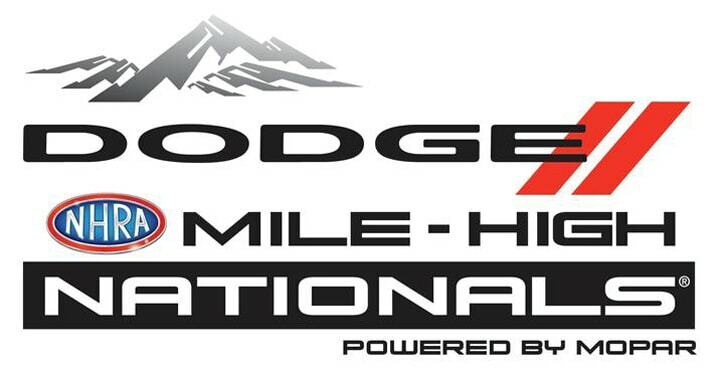 For 2018, the July 20-22 race at Bandimere will be called the Dodge Mile-High NHRA Nationals Powered by Mopar. This race, which will mark its 39th year, kicks off the daunting Western Swing of three consecutive races at Denver, Sonoma, Calif. and Seattle, Wash. In addition to its sponsorship and naming rights for the Mile-High Nationals, Dodge and Mopar hold a “block party” the Thursday prior to the start of racing that brings thousands of fans and racers to the streets of Golden, Colo., just north of Bandimere Speedway. During race weekends, anyone on the grounds of all 24 NHRA Mello Yello Drag Racing Series contests can visit the new 4,800-square-foot exhibit that combines Dodge and Mopar rigs to create one of the largest displays on the NHRA Manufacturers Midway. 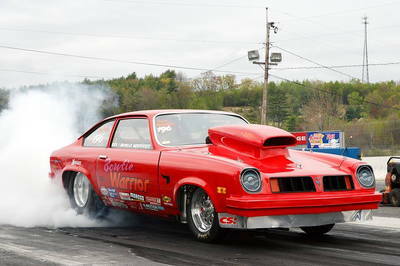 Dodge continues as title sponsor of the Dodge NHRA Nationals in Reading, Penn. this year for a third consecutive year, one of six races in this year’s playoff series, the Countdown to the Championship. Dodge and Mopar fans can stay in touch with both brands’ racing news and events at the Dodge Garage, a one-stop digital content hub. 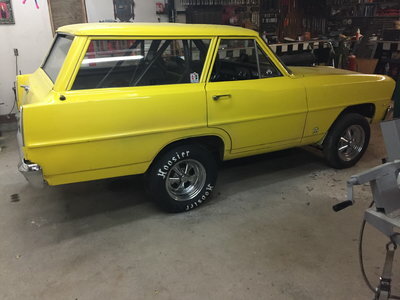 Dodge Garage houses daily updates and fans get access to online racing news, events, galleries, downloads and merchandise. Dodge Garage also offers exclusive content, such as a three-part video series “Chasing the Title”, which offers fans a unique, behind-the-scenes glimpse at Pritchett and her Don Schumacher Racing team in action. 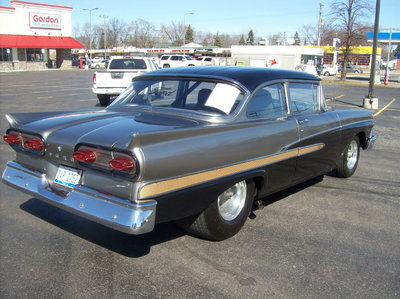 Mopar also has a blog: http://blog.mopar.com.